While transitioning to our new Court Management Program, Odyssey, our online e-File service for the Criminal and Civil Departments will be suspended temporarily starting Wednesday, April 24th and will be back up for on-line e-Filing services at 8:30 A.M. on April 29th. We thank you in advance for your patience and understanding during this transition. Odyssey, our new Court Management Program, is almost ready to launch! Our Civil & Criminal clerks are being extensively trained on the software, which will allow us to serve you more efficiently. We thank you in advance for your patience & understanding during this training period. My responsibility as your Clerk of Court is to efficiently maintain and preserve the official public records of St. Tammany Parish. Our goal is to combine technology and personal service to provide the best customer experience possible. The Clerk of Court’s office is a fee-for service agency and does not receive taxpayer funds to operate. Thank you for allowing us to serve you. You are the reason that we have been named a 2018 Top Workplace by Nola.com and the Times Picayune! The St. Tammany Parish Clerk of Court provides many services to the public. The Archives Department preserves and maintains the rich history and genealogy of St. Tammany Parish, dating back to 1810. The Civil Department processes and maintains all Civil case records, including Civil and Domestic suits, Adoptions, Commitments, Successions, and Tutorships. The Criminal Department processes and maintains all Criminal case records, including Misdemeanor, Felony, Juvenile, Non-Support and Traffic violations. The Criminal Department also prepares all Civil & Criminal appeals. The Clerk of Court is the chief elections officer for St. Tammany Parish and chairs the Board of Election Supervisors. The Land Records Department maintains all documents recorded in the Mortgage and Conveyance records of St. Tammany Parish, including Acts of Sale, Mortgages, Property Settlements, Judgments of Possession, and Cancellations. The St. Tammany Parish Clerk of Court’s office is an agent for the U.S. Department of State, Bureau of Consular Affairs, and is able to process New Passport applications, provide Passport photos, and assist with Passport Renewals & Amendments. 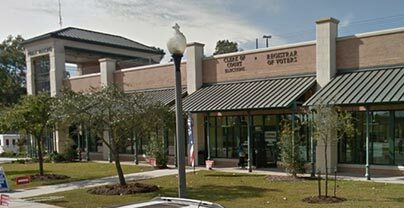 The St. Tammany Parish Clerk of Court’s office is an agent for the Louisiana Vital Records Registry, and is able to process Marriage License applications, and provide copies of Birth Certificates/ Cards, and Death Certificates. 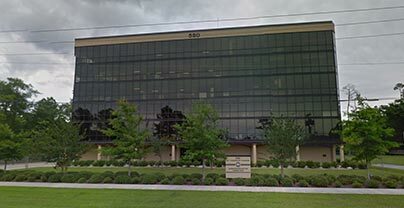 The Recording Department is responsible for the recording of all Conveyance, Mortgage, and Miscellaneous documents relating to immovable property in St. Tammany Parish. Vote in the Municipal General Election –Â Saturday May 4th! The polls will be open from 7:00am – 8:00pm. For polling locations and additional information, please contact the St. Tammany Parish Registrar of Voters at www.stprov.org, or the Louisiana Secretary of State at www.voterportal.sos.la.gov. Vote in the Municipal Primary Election – Saturday March 30th! The polls will be open from 7:00am – 8:00pm. For polling locations and additional information, please contact the St. Tammany Parish Registrar of Voters at www.stprov.org, or the Louisiana Secretary of State at www.voterportal.sos.la.gov. Our deputy clerks came together to collect & donate “24-Hour” Bags, Formula, Snacks, Baby items, and funds to help support Northshore Enduring Hope’s vision of “Bridging the gap for Foster & Forever Families”. Thank you to Doree Kelly and the entire organization for the support you offer our community’s children in their time of need! 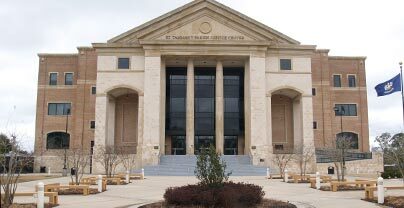 Saturday, March 16th – Saturday, March 23rd 8:30am – 6:00pm Closed on Sunday Covington – 601 N. Jefferson Ave, Justice Center Parking Garage Slidell – 520 Old Spanish Trail, The Towers Building For additional information, please contact the St. Tammany Parish Registrar of Voters at www.stprov.org, or the Louisiana Secretary of State at www.voterportal.sos.la.gov. PUBLIC NOTICE – As required by State Law, R.S. 1:55A(1), R.S. 1:55 B(1)(a) and R.S. 1:55 E(1)(a)(i), the Clerk’s Office will be closed Monday, January 21st for the Martin Luther King Jr. Holiday. The Clerk’s Office will resume its normal business hours on Tuesday, January 22nd. We look forward to serving you at that time…. By joining the St. Tammany Parish Clerk of Court email list, I attest that I am the owner of the email address listed above, and consent to receiving email notifications from the St. Tammany Parish Clerk of Court. I understand that I may revoke this permission at any time. By signing up to receive text messages I attest that I am the owner of the phone number listed above, and I consent to receiving text message notifications from the St. Tammany Parish Clerk of Court. I understand that text message rates will apply from my phone carrier and I am responsible for all applicable charges. I understand that I may revoke this permission at any time.